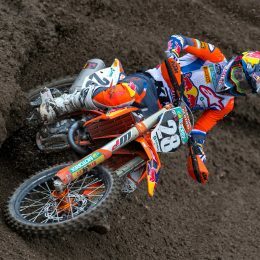 KTM again dominated the smaller MX2 class in impressive style at the 14th World Championship race in Loket, Czech Republic. 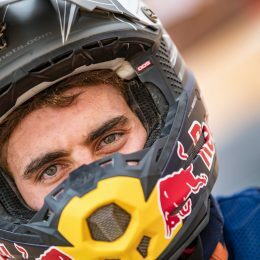 Riding his KTM 250 SX-F, Spanish ace Jorge Prado and defending champion Pauls Jonass from Latvia were top of the leaderboard with a significant lead over the third-place rider. 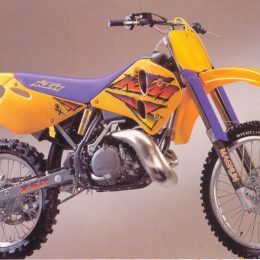 Even 40+ years ago, the KTM quarter-liter factory bikes were the ones to beat if you wanted to steal the title at the then 250cc Motocross World Championships. Gran Canaria – beginning of March. Media launch of the new KTM 790 DUKE. The journalists are totally obsessed with the latest addition to the DUKE family. Its razor-sharp handling has earned the 790 its own nickname – “The Scalpel”. The new 790 plugs the gap between the 690, the most powerful single-cylinder on the market, and the “Beast”, the KTM 1290 SUPER DUKE R with more than double the power. 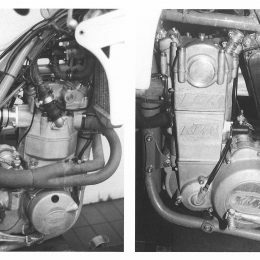 The complete genealogy of the 790 was on display in all its glory at a presentation at an aircraft hangar, beginning with the original DUKE, which was replaced as the KTM 640 DUKE “last edition” by the DUKE II exactly 20 years ago. During a high-profile visit to Milan Avenue in Amherst, Ohio, KTM North America Inc. was able to welcome some very special guests. 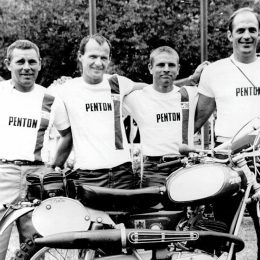 On the second weekend in March, members of the Penton Owners Group gathered for an anniversary celebration, as almost 50 years ago to this day, the first Penton motorcycles arrived in the US. 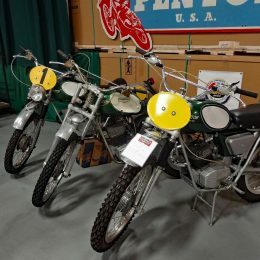 To mark the occasion, we took a look back at John Penton’s legacy and his motorcycles that paved the way to KTM becoming the long-standing leader on the offroad market half a century ago. 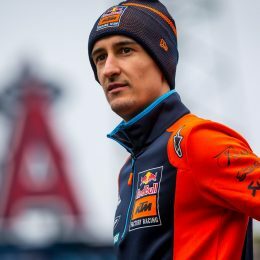 When the young KTM MotoGP team racked up the first world championship points in Termas de Río Hondo (Argentina) at the beginning of April, road racing at KTM already had a tradition spanning several decades. Sixty years ago, the star of Erwin Lechner first began to shine. 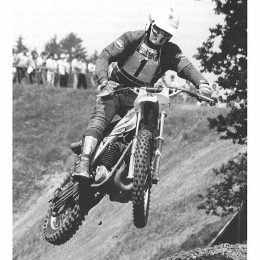 The young rider achieved success after success in both road and offroad racing. 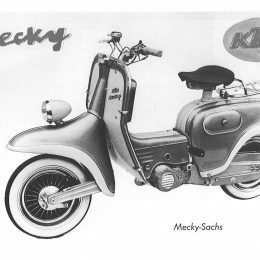 At the same time, KTM designer Ludwig Apfelbeck conceived both the 4-valve racing engine and a small 2-stroker for the moped “Mecky”. 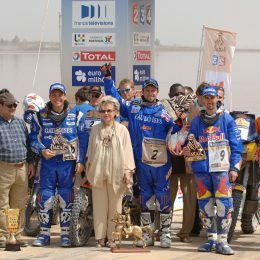 KTM had been unbeaten since 2001 when more than 140 riders lined up for the start of the 39th edition of the Dakar Rally in Asunción on January 2, 2017. 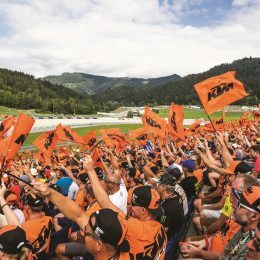 Orange was once again the predominant color at the start line – over half of the competitors had opted for the machine that so often wins this event, the KTM 450 RALLY. 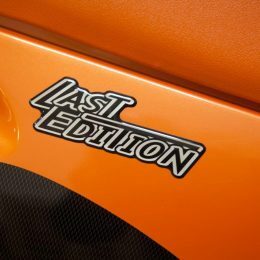 Orange – this mixture of yellow and red is much more than just a color to KTM; it has also been the company’s philosophy for two decades now. 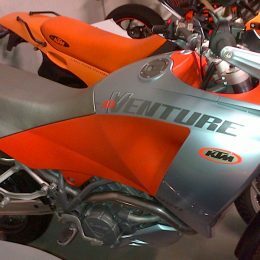 In the world of motorcycles, KTM Orange carries the same meaning as “Ferrari Red” for motor vehicles, and when other manufacturers paint their motorcycles orange, the motorcycle world thinks only of KTM.